The Hotel Croce di Malta in Via Borgognona in Rome is the ideal starting point for a day of shopping in the shops and boutiques around Piazza di Spagna and Via Condotti. The Hotel is located at number 28, Via Borgognona, one of the ways of the “Fashion District” in Rome, parallel to the famous Via dei Condotti. 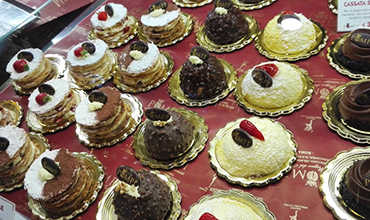 As soon as you leave the hotel and before you get to Via Condotti or Piazza di Spagna, stop at the shops in Via Borgognona. For women’s clothing: if you like Italian style fashion or love the big names in fashion, at number 5 you will find the shop in the center of Rome by Marina Rinaldi. Just two steps ahead, at number 7, you will find the Roman showroom of Roberto Cavalli and 7/a Gianfranco Ferrè. Just beyond the civic 7/d there is the Gucci showroom and at number 7/e and Ermenegildo Zegna. Among the other showrooms of great designers you can find Laura Biagiotti at number 43 and Moschino at the 32. If it’s a cold day or you need to feel comfortable in a soft cashmere sweater, at number 31 you will find the Loro Piana store Ermanno Scervino at 29 and Emilio Pucci at number 21. If you are on a business trip and you need to spend some free time to relax, go to dinner or a conference, for an evening dress or men’s clothing in general, always in Via Borgognona you will find the Eredì Pisanò men’s store at number 4 and that of Monetti Uomo at no.6. Shoes remain one of the most popular passions and the Italian shoe is the most elegant in the world, here are the boutiques to attend: at number 5/a you find the Fratelli Rossetti store and at 4/a the Longhi store. 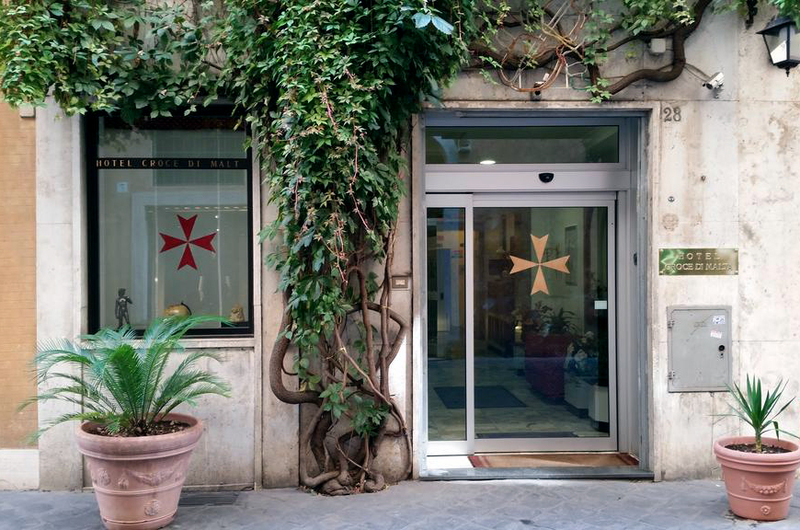 From the Hotel Croce di Malta you can reach some of the most famous places in Rome! 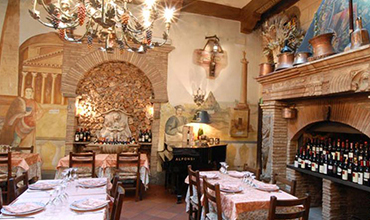 The Le Grotte Restaurant is just a few steps from the famous Spanish Steps. The restaurant offers daily international cuisine with fresh fish, or pizzas baked in a wood oven. 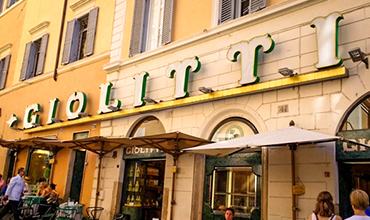 Since 1900 Giolitti nourishes the taste of perfection. Harmonious flavors and a great tradition for one of the oldest and most famous places in the capital, famous and appreciated in Italy and abroad. 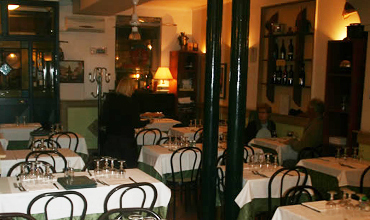 Nino’s cuisine is Tuscan tradition naturalized in Rome: the Tuscan specialties (steak, cod) cohabit with those of Roman cuisine (artichokes, lambs) in perfect balance. 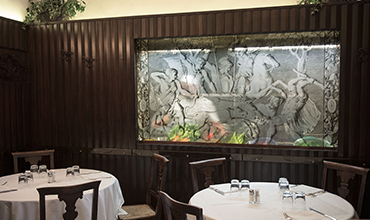 If you want to taste delicious dishes in a refined setting, Le Caveau restaurant is the one for you. In fact, its rooms in classic style and its elegant and precious furniture, for the colors played on the gold tones, offer unforgettable moments of relaxation. 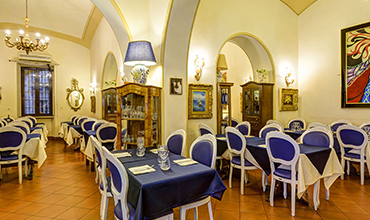 The Due Colonne pizza restaurant, in the historic center of Rome, 1.3 km from the Croce di Malta Hotel, offers traditional Italian and Roman cuisine and tasty pizzas. Ideal to taste traditional dishes, also every Tuesday and Friday fresh fish is offered. After crossing the exit, turn right. Enjoy the boutiques and shops of the street and in less than two minutes you will reach Piazza di Spagna, with the Trinità dei Monti staircase and the famous Fontana della Barcaccia. Piazza di Spagna is a must see at all hours of the day, but early in the morning it is a must to be missed. In fact, while the other tourists will still be traveling, after a short walk, you can enjoy the deserted square at the first light of day, perhaps sipping a coffee in one of the bars in the area. You can return to the evening, after a business meeting, or after visiting the city. You can relax with an aperitif and see how Piazza di Spagna changes at dusk. The Trevi Fountain, just 600 meters from the hotel, is one of the most famous fountains not only of Rome, but of the entire world. If you visit Rome, you will not be able to steal from the coin tossing ritual. In fact, tradition has it that by throwing a coin inside the fountain, turning its back on it, a future return to the capital is encouraged. The Pantheon, or the temple dedicated to all past, present and future deities is one of the other “must see” of Rome. Every year millions of tourists from all over the world come to visit, while you, staying at the hotel Croce di Malta, you’ll have it only 800 meters away. Just leave the hotel, turn left and take Via del Corso, walk 500 meters, turn right into Via dei Pasini and walk only another 200 meters. After this short ride, the Pantheon will be in front of your eyes. Piazza Navona is one of the liveliest squares in the center of Rome, where every day you can listen to street singers, or be entertained by many street artists. Its romantic atmosphere is unique and you have the possibility to reach it whenever you want, it takes only 10 minutes walk from the hotel. During the Christmas season, a Christmas market is open all day from 10:00 to 20:00. 20 minutes of quiet walk or some subway stops divide you from the monument of Rome par excellence. Destination for all the tourists of the capital, it can be visited from Monday to Friday from 9.00 am, and in winter it closes at 4.30 pm. The Colosseum has been the subject of many films that have made the history of cinema, thus reaching the collective imagination, so much so that almost everyone already believes they know it, but only once arrived in front can you realize the immensity of this construction : it is an indescribable feeling. Come and visit it! A 20-minute walk from the Hotel Croce di Malta is Castel Sant’Angelo, also known as the Mausoleum of Hadrian, is a monument of Rome, located on the right bank of the Tiber a short distance from the Vatican, in the district of Borgo; it is connected to the Vatican State through the fortified corridor of the “passetto”. The castle has been radically altered several times in the Middle Ages and the Renaissance. Owned by MIBACT, the Museum in December 2014 became part of the Lazio Museum Complex. Piazza del Popolo is one of the most famous squares in Rome, at the foot of the Pincio; the famous hill to the north of the Quirinale overlooking the Campo Marzio. Piazza del Popolo is just a 10-minute walk from the Croce di Malta Hotel. You can get off conveniently from the Metro or Flaminio Station and in a few minutes you can enjoy the beautiful view of the Piazza.